Professor Lapidus was elected to be a Corresponding Foreign Member of the Academia Peloritana dei Pericolantii, one of the two Italian Academies of Sciences, Mathematics Section, since June 2016. Mathematical Physics, Functional and Harmonic Analysis, Geometric Analysis, Partial Differential Equations (PDEs), Dynamical Systems, Spectral Geometry, Fractal Geometry; Connections with Number Theory, Arithmetic Geometry and Noncommutative Geometry. Feynman’s Operational Calculus for Noncommutative Operators. Connections with the Riemann Zeta Function and the Riemann Hypothesis. Ihara Zeta Functions on Infinite Periodic or Self-Similar Graphs. Professor Michel L. Lapidus coordinates a weekly meeting between him and his PhD students and mentees. It is during The Fractal and Mathematical Physics Research Group meetings that he talks informally with his students and keeps informed of each student's progress. It is also here that his students have the opportunity to present their research and discuss more specialized topics not fitting with the spirit of the more formal Seminar on Mathematical Physics and Dynamical Systems. Visitors are welcome! The Seminar on Mathematical Physics and Dynamical Systems (MPDS, Math 260) is a seminar led by Dr. Lapidus that meets every quarter, once a week. It is here that students and guest speakers may present their research on topics ranging from the Feynman Integral to Fourier Analysis to Fractal Billiards. Such an environment allows for the dissemination of new ideas for interested and motivated students, visitors and researching faculty, while at the same time exposing students to more specialized topics and allowing for necessary professional development. *This will be a colloquium, joint with the MPDS Seminar; hence, it will be lasting from 4:10pm to 5:00pm, with refreshments and tea/coffee starting at about 3:40pm. In the Spring of 2012, Dr. Lapidus will be on sabbatical leave at the Institute Des Hautes Scientifiques (IHES) in Bures-sur-Yvette and the Insitut Henri Poincar� (IHP) in Paris, France. Every quarter, Dr. Lapidus holds a seminar in Mathematical Physics and Dynamical Systems.� In the past, this seminar has been offered every Thursday at 3:40-4:30 PM.� Also, Dr. Lapidus meets weekly with his students and mentees in the Fractal Research Group.� The FRG seminar is held on Thursday at 11:10-12:30, and anyone interested in Fractal Geometry and its applications are invited to attend, as this is a more informal setting designed to foster discussion. The indicated institutions is the current one (when it is known). Otherwise, it is the one corresponding to the first collaboration, in which case a star (*) is added. For a complete list of publications, including conference proceedings, book chapters, miscellaneous articles, papers in preparation or submitted, as well as a detailed table of contents for each book, click here. For a complete list of publications by theme and category (without table of contents), click here. [JA13]��� “The Feynman-Kac Formula with a Lebesgue-Stieltjes Measure and Feynman's Operational Calculus”, Studies in Applied Mathematics 76 (1987), pp. 93-132. [JA14]��� “Remainder Estimates for the Asymptotics of Elliptic Eigenvalue Problems with Indefinite Weights”, Archives for Rational Mechanics and Analysis 98 (1987), pp. 329-356, (with J. Fleckinger); MR 88b:35149. [JA15]��� “The Feynman-Kac Formula with a Lebesgue-Stieltjes Measure:� An Integral Equation in the General Case”, Integral Equations and Operator Theory 12 (1989), pp. 163-210. [JA16]��� “Une Multiplication Non Commutative des Fonctionnelles de Wiener et le Calcul Op�rationnel de Feynman”, [A Noncommutative Multiplication of Wiener Functionals and Feynman's Operational Calculus], Comptes Rendus de l’Acad�mie des Sciences Paris S�r. I Math. 304 (1987), pp. 523-526, (with G.W. Johnson). [JA17]��� “Strong Product Integration of Measures and the Feynman-Kac Formula with a Lebesgue-Stieltjes Measure”, Supplemento ai Rendiconti del Circolo Matematico di Palermo, Ser. II, 17 (1987), pp. 271-312. [JA18]�� “Tambour Fractal:� Vers une R�solution de la Conjecture de Weyl-Berry pour les Valeurs Propres du Laplacien”, [Fractal Drum:� Towards a Resolution of the Weyl‑Berry Conjecture for the Eigenvalues of the Laplacian], Comptes Rendus de l’Acad�mie des Sciences Paris S�r. I Math. 306 (1988), pp. 171-175, (with the collaboration of J. Fleckinger). [JA19]��� “Noncommutative Operations on Wiener Functionals and Feynman's Operational Calculus”, Journal of Functional Analysis 81 (1988), pp. 74-99, (with G.W. Johnson). [JA20]��� “Schr�dinger Operators with Indefinite Weights:� Asymptotics of Eigenvalues with Remainder Estimates”, Differential and Integral Equations 7 (1994), pp. 1389-1418, (with J. Fleckinger). [JA21]��� “Fractal Drum, Inverse Spectral Problems for Elliptic Operators and a Partial Resolution of the Weyl-Berry Conjecture”, Transactions of the American Mathematical Society 325 (1991), pp. 465-529. [JA22]��� “Quantification, Calcul de Feynman Axiomatique et Int�grale Fonctionnelle G�n�ralis�e”, [Quantization, Axiomatic Feynman's Operational Calculus and Generalized Functional Integral], Comptes Rendus de l’Acad�mie des Sciences Paris S�r. I Math. 308 (1989), pp.�133-138. [JA23]��� “Product Formula for Normal Operators and the Modified Feynman Integral”, Proceedings of the American Mathematical Society 110 (1990), pp. 449-460, (with A.�Bivar Weinholtz). [JA24]��� “La Fonction Z�ta de Riemann et la Conjecture de Weyl-Berry pour les Tambours Fractals”, [The Riemann Zeta-Function and the Weyl-Berry Conjecture for Fractal Drums], Comptes Rendus de l'Acad�mie des Sciences Paris S�r. I Math. 310 (1990), pp.�343‑348, (with C. Pomerance). [JA25]��� “Hypoth�se de Riemann, Cordes Fractales Vibrantes et Conjecture de Weyl‑Berry Modifi�e”, [The Riemann Hypothesis, Vibrating Fractal Strings and the Modified Weyl-Berry Conjecture], Comptes Rendus de l'Acad�mie des Sciences Paris S�r. I Math. 313 (1991), pp. 19-24, (with H. Maier). 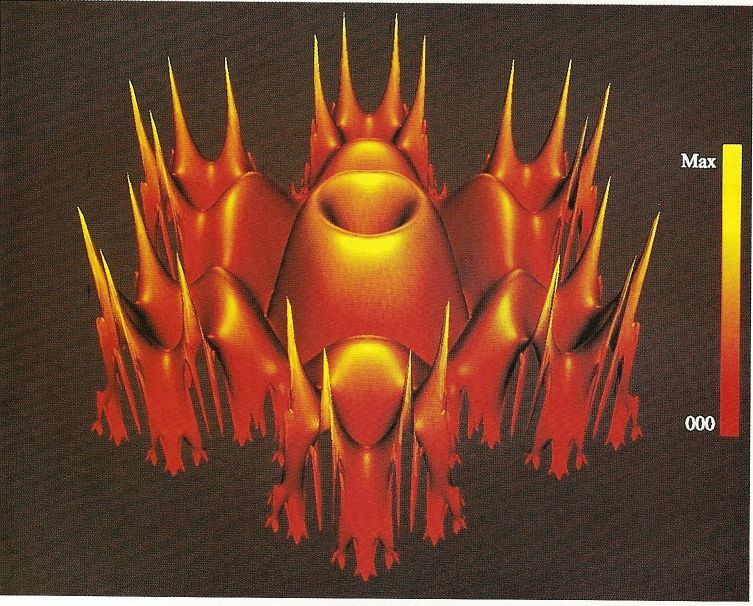 [JA26]��� “The Riemann Zeta-Function and the One-Dimensional Weyl-Berry Conjecture for Fractal Drums”, Proceedings of the London Mathematical Society (3) 66, No.�1 (1993), pp. 41-69, (with C.�Pomerance). [JA27]��� “The Riemann Hypothesis and Inverse Spectral Problem for Fractal Strings”, Journal of the London Mathematical Society (2) 52, No. 1 (1995), pp. 15-35, (with H.�Maier). [JA28]��� “Weyl's Problem for the Spectral Distribution of Laplacians on P.C.F. 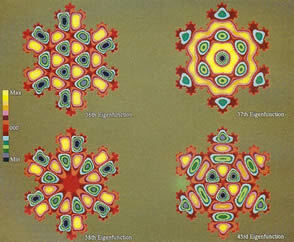 Self-Similar Fractals”, Communications in Mathematical Physics 158 (1993), pp. 93-125, (with J. Kigami). [JA29]��� “Indefinite Elliptic Boundary Value Problems on Irregular Domains”, Proceedings of the American Mathematical Society 125 (1995), pp. 513-526, (with J. Fleckinger). 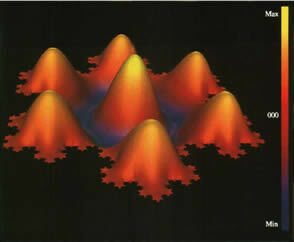 [JA30]��� “Analysis on Fractals, Laplacians on Self-Similar Sets, Noncommutative Geometry and Spectral Dimensions", Topological Methods in Nonlinear Analysis, No. 1, 4 (1994), pp. 137-195. 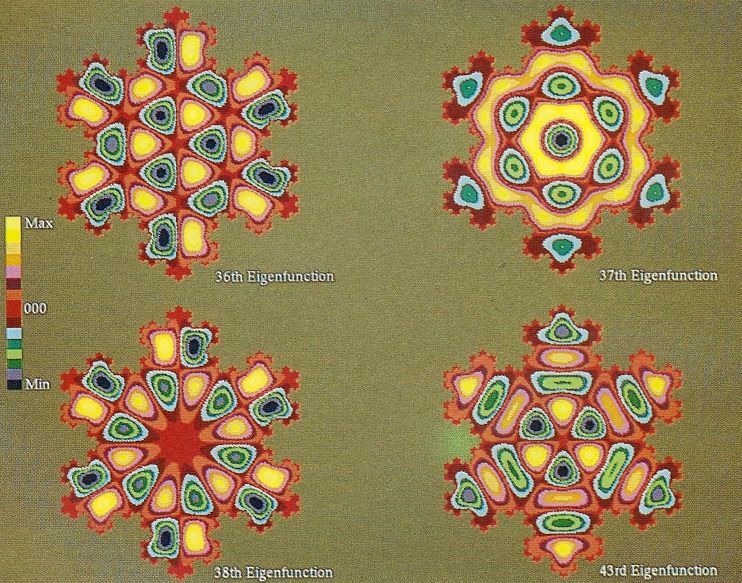 [JA32]����“Fractals and Vibrations:� Can You Hear the Shape of a Fractal Drum?”, Fractals No. 4, 3 (1995), pp. 725-736. [JA33]����“Counterexamples to the Modified Weyl-Berry Conjecture”, Mathematical Proceedings of the Cambridge Philosophical Society, 119 (1996), pp. 167-178, (with C. Pomerance). [JA34]����“Generalized Minkowski Content and the Vibrations of Fractal Drums and Strings”, Mathematical Research Letters 3 (1996), pp. 31-40, (with C. Q. He). [JA35]����“Generalized Minkowski Content, Spectrum of Fractal Drums, Fractal Strings and the Riemann Zeta-Function”, Memoirs of the American Mathematical Society No. 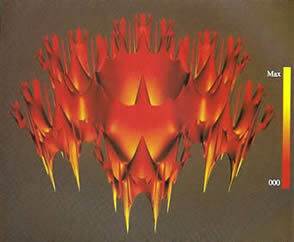 608, 127 (1997), pp. 1-97, (with C. Q. He). [JA37]����“Feynman's Operational Calculus and Evolution Equations”, Acta Applicandae Mathematicae 47 (1997), pp. 155-211, (with B. DeFacio and G. W. Johnson). [JA42] ���“Random Fractal Strings: Their Zeta Functions, Complex Dimensions and Spectral Asymptotics”, Transactions of the American Mathematical Society No.1, 358 (2006), pp. 285-314, (with B. Hambly). [JA45]�� “Feynman's Operational Calculi: Auxiliary Operations and Related Disentangling Formulas”, Integration: Mathematical Theory and Applications No. 1, 1 (2008), pp. 29-48, (with G. W. Johnson). [JA64] "Fractal Strings, the Spectral Operator and the Riemann Hypothesis: Zeta Values, Riemann Zeros, Phase Transitions and Quantized Universality", Research Memoir, 139 pages (as of Aug. 2013), (with Hafedh Herichi). [JA65] "Minkowski Dimension and Explicit Tube Formulas for p-Adic Fractal Strings, 23 pages (as of Aug. 2013), (with Machiel van Frankenhuijsen and Hung Lu). [JA66] "Spectral Operator and Convergence of its Euler Product in the Critical Strip", work in progress, 14 pages (as of Aug. 2013), (with Hafedh Herichi). [JA67] "Analytic Continuation of a Class of Multifractal Zeta Functions", work in progress, 10 pages (as of Aug. 2013), (with Driss Essouabri and John A. Rock). [JA68] "Distance and Tube Zeta Functions on Fractals in Euclidean Spaces", 32 pages (as of Aug. 2013), (with Goran Radunović and Darko Žubrinić). [JA69] "Meromorphic Extensions of Fractal Zeta Functions", 38 pages (as of Aug. 2013), (with Goran Radunović and Darko Žubrinić). [JA70] "Box-Counting Fractal Strings and Zeta Functions", work in progress, 12 pages (as of Aug. 2013), (with John A. Rock and Darko Žubrinić). [JA71] "Fractal Curvatures and Local Tube Formula", work in progress, (with Erin P.J. Pearse and Steffen Winter). [JA72] "Minkowski Measurability of Fractal Sprays and Self-Similar Tilings", work in progress, (with Erin P.J. Pearse and Steffen Winter). For a selected list of books with a table of contents for each, click here. [RB1] “The Feynman Integral and Feynman's Operational Calculus”, Oxford Mathematical Monographs, Oxford Science Publications, Oxford University Press, Oxford, London and New York, approx. 800 pages (precisely, 771 + (xviii) pages & 21 illustrations), March 2000. �ISBN 0 19 853574 0 (Hbk). (With Gerald W. Johnson.) [Corrected Reprinting, Jan. 2001. First Paperback Edition, Jan. 2002. ISBN� 0 19 851572 3 (Pbk). Second Reprinting: Jan. 2003. Electronic Edition: forthcoming.] �US Library of Congress Classification: QA312.J54��� 2000. [RB2]�“Fractal Geometry and Number Theory”. (Subtitle: “Complex Dimensions of Fractal Strings and Zeros of Zeta Functions”. )� Research Monograph, Birkh�user-Verlag, Boston, approx. 300 pages (precisely, 268 + (xii) pages & 26 illustrations), January 2000. (With Machiel van Frankenhuysen. )� ISBN� 0-8176-4098-3. (Boston). ISBN 3-7643-4098-3 (Basel). US Library of Congress Classification:� QA614.86.L36�� 1999. [RB3] “Fractal Geometry, Complex Dimensions and Zeta Functions”. (Subtitle: “Geometry and Spectra of Fractal Strings”.) Refereed Research Monograph, Springer Monographs in Mathematics, Springer, New York, approx. 490 pages (precisely, 460 + (xxiv) pages & 54 illustrations), August 2006. (With Machiel van Frankenhuijsen.) ISBN-10: 0-387-33285-5.� e-ISBN: 0-387-35208-2. ISBN-13: 978-0-387-33285-7. US Library of Congress Control Number: 2006929212. [RB4] “In Search of the Riemann Zeros” (Subtitle:� “Strings, Fractal Membranes, and Noncommutative Spacetimes”. )� Refereed Research Monograph, American Mathematical Society, Providence, RI, approx. 600 pages (precisely, 558 + (xxix) pages), January 2008. ISBN-10:0-8218-422-5. ISBN-13:978-0-8218-4222-5. US Library of Congress Classification: QA333.L37 2007. [RB5] "Fractal Geometry, Complex Dimensions and Zeta Functions". (Subtitle: Geometry and Spectral of Fractal Strings.) Second Revised and Enlarged Edition (of the 2006 edition, [RB3]). Refereed Research Monograph, Springer Monographs in Mathematics, New York, approx. 600 pages (precisely, 594 = 568 + (xxvi) pages and 73 illustrations), January 2013. (With Machiel van Frankenhuijsen.) ISSN 1439-7382. ISBN 978-1-4614-2175-7. ISBN 978-1-4614-2176-4 (eBook). DOI 10.1007/978-1-4614-2176-4. US Library of Congress Control Number: 2012948283. [RB6] "Feynman's Operational Calculus and Beyond". (Subtitle: "Noncommutativity and Time-Ordering".) Ed. First Edn. Oxford University Press (Oxford Mathematical Monographs, Oxford Science Publications). Oxford, London & New York, approx. 400 pages (precisely 383 = (xiv)+ 369 pages), 2015. ISBN: ISBN 978-0-19-870249-8. Library of Congress Control Number: 2015931993. 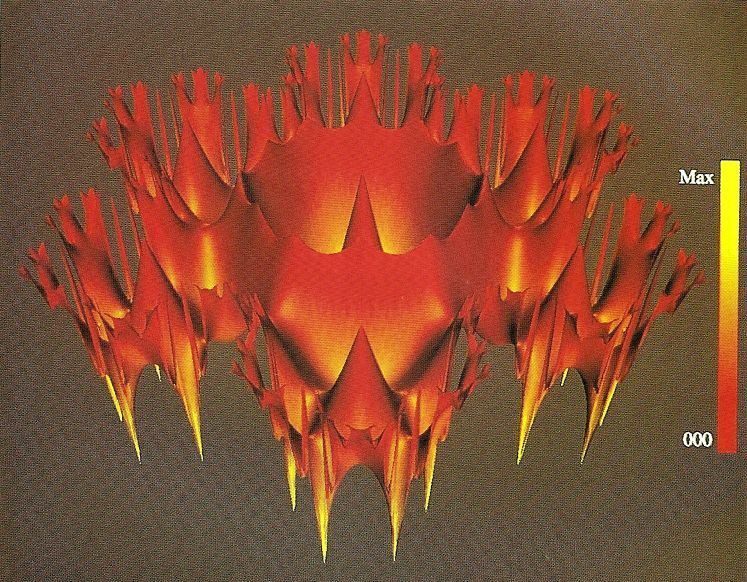 [RB7] "Fractal Zeta Functions and Fractal Drums”. (Subtitle: "Higher-Dimensional Theory of Complex Dimensions".) Refereed Research Monograph, Springer, New York, approx. 700 pages (precisely, 689 = (lv)+ 649 pages), 2016. ISBN: 978-3-319-44706-3. [EB1]������ Editor: "Progress in Inverse Spectral Geometry", Proc. Summer School on "Progress in Inverse Spectral Geometry", held in Stockholm (Sweden) in June-July 1994, Trends in Mathematics Series, Vol. 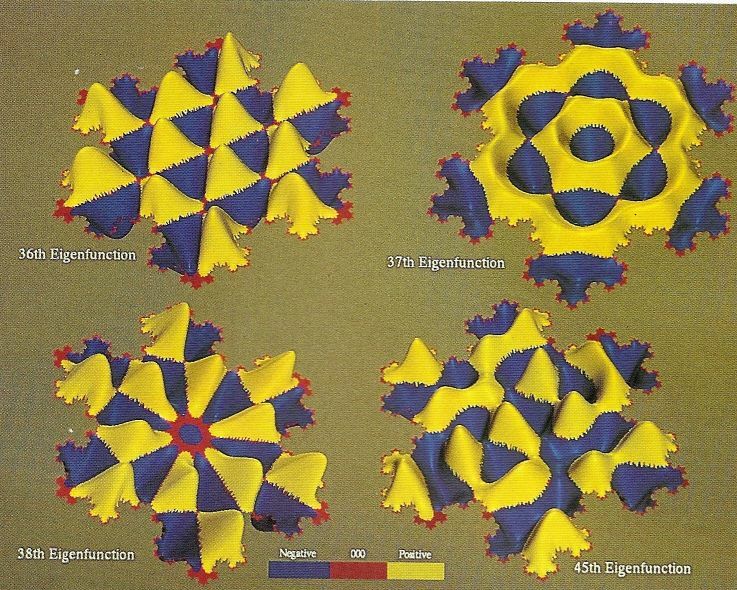 1, Birkh�user-Verlag, Basel, November 1997, 204 pages, (Co-Editor:� Stig I. Andersson). ISBN 3-7643-5755-X (Basel).� ISBN 0-8176-5755-X (Boston). US Library of Congress Classification: QA614.95.P78�� 1997. [EB2]����� Coordinating Editor: “Harmonic Analysis and Nonlinear Differential Equations”, (Volume in honor of Prof. Victor L. Shapiro), Contemporary Mathematics, Vol. 208, American Mathematical Society, Providence, RI, August 1997, 350 + (xii) pages.� (Includes a Dedication and a Preface. )� (Co-Editors:� Lawrence H. Harper and Adolfo J. Rumbos. )� ISBN 0-8218-0565-7 (alk. paper).� US Library of Congress Classification: QA403.H223�� 1997. [EB3]������ Editor: “Dynamical, Spectral and Arithmetic Zeta Functions”, Proc. Special Session (Amer. Math. Soc. Annual Meeting, San Antonio, Texas, Jan. 1999), Contemporary Mathematics, Vol. 290, American Mathematical Society, Providence, RI,� December 2001, 195 + (x) pages. (Co-Editor: Machiel van Frankenhuysen.) ISBN 0-8218-2079-6. US Library of Congress Classification:� QA351.A73�� 1999. [EB6] "Fractal Geometry and Dynamical Systems in Pure and Applied Mathematics I". (Subtitle: "Fractals in Pure Mthematics".) Contemporary Mathematics, Vol. 600, American Mathematical Society, Providence, RI. 2013. 399p. (Co-Editors: David Carfi, Erin P.J. Pearse and Machiel van Frankenhuijsen.) ISBN-10: 0-8218-9147-2. ISBN-13:978-0-8218-9147-6. [EB7] "Fractal Geometry and Dynnamical Systems in Pure and Applied Mathematics II". 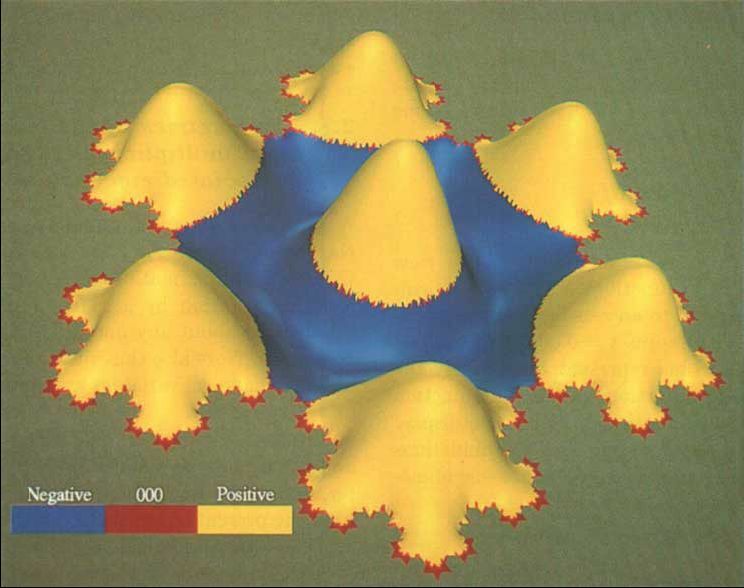 (Subtitle: Fractals in Applied Mathematics".) Contemporary Mathematics, Vol. 601, American Mathematical Society, Providence, RI. 2013. 372p. (Co-Editors: David Carfi, Erin P.J. Pearse and Machiel van Frankenhuijsen.) ISBN-10: 0-8218-9148-0. ISBN-10: 978-0-8218-9148-3. Seeing the sound of a fractal harp (or string) and hearing the pattern of its complex dimensions fall from the clouds. Picture by Professor Emeritus John de Pillis. Hearing the shape of a fractal drum. Lapidus, M. L., Neuberger, J. W., Renka, R. J. , Griffith, C. A.
Int. J. Bifur. Chaos., Vol. 6, No. 7. 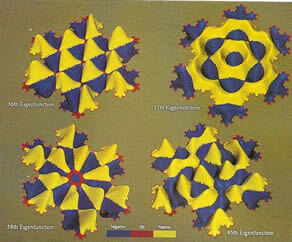 (1996) 1185-1210.
on the Koch snowflake domain. Nodal curves of the second eigenfunction. 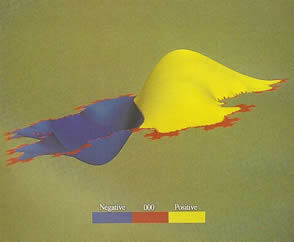 (steady-states) "vibrations" of a drum. Nodal curves of the 13th eigenfunction (bottom view). 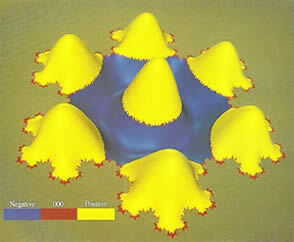 The magnitude of the gradient of the 13th eigenfunction of the Koch snowflake drum. Another view of the magnitude of the gradient of the 13th eigenfunction. 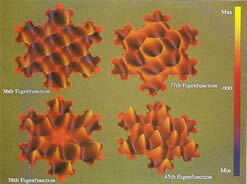 The first snowflake harmonic: the first eigenfunction of the Dirichlet Laplacian on the Koch snowflake domain. Level curves of several eigenfunctions. Nodal curves of several eigenfunctions. (*) Especially under the NSF Grants DMS-8703138, DMS-8904389, DMS-9207098, DMS-9623002, DMS-0070497, DMS-0707524, and DMS-1107750. (**) The contents of this Web site have neither been reviewed nor approved by the National Science Foundation (NSF) and the views and opinions expressed in this Web site are strictly those of Michel L. Lapidus.